At Community Health and Wellness every service is unique. With our team of specialists, we have created some amazing medical spa services for our patients to explore. Whether you are dealing with severe acne, sensitive skin, unwanted wrinkles or other skin concerns, we can help! 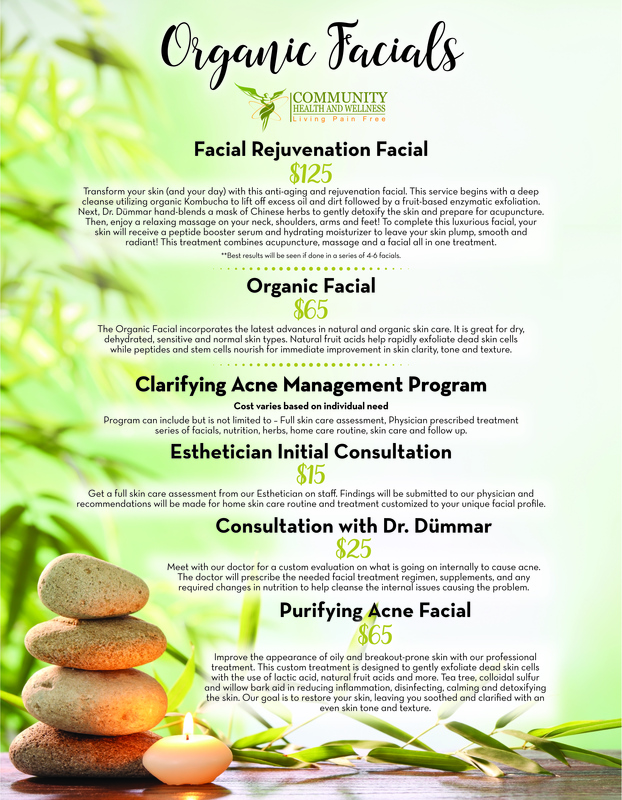 Give us a call for a 15 minute consultation with our on staff Esthetician and doctor.